My perception and understanding of eating disorders was extremely narrow before I became passionate about the topic and learned more about these conditions during my training as a therapist. I remember the brief explanation and portrayal of eating disorders in my high school health class: our textbook had a photo of an emaciated young girl as a prototype for anorexia, and provided a drawing of another young girl with bulimia, discretely walking towards the bathroom after eating lunch with her friends. Thankfully, such a restricted depiction of eating disorders has been expanding and now includes other types of eating disorder behaviors, as with the recent recognition of binge eating disorder as an official eating disorder diagnosis. However, these three diagnostic categories may still exclude other individuals who do struggle in their relationship with food and their bodies; while they do exhibit disordered eating behaviors that are dangerous and disruptive, they may not exactly fit the criteria for any one of these particular and more widely-recognized conditions. But I Don’t Meet the Criteria…. For instance, how do you classify an individual who frequently restricts his food intake, is highly preoccupied with his body image and is terrified of weight gain, has a hard time functioning in his daily life, and appears to be at a “healthy” weight? This may sound like someone who exhibits behaviors of anorexia, but does not meet the Body Mass Index requirements to be diagnosed. Where does this person “fit?” Imagine the challenges that individuals face when they are clearly suffering from a chaotic relationship with food and their body but do not exactly meet the profile of someone who has a specific eating disorder. Do they need help? Should they ask for help? Will they receive help? These include a diagnosis of atypical anorexia nervosa, like the man described above, who meets all the criteria for anorexia but is not at a low weight. Furthermore, OSFED includes diagnoses of lower frequency/limited duration binge eating disorder and bulimia, and also recognizes purging disorder, in which the individual engages in purging without binge eating. Another OSFED diagnosis is Night Eating Syndrome in which the person eats at least 25% of their daily food intake after their evening meal. Lastly, an individual may not even identify with these less-known diagnoses, but can still suffer from other eating disorder behaviors that interfere with their lives – such a diagnosis would be Unspecified Feeding or Eating Disorder. If you are battling a challenging relationship with food, one that does not appear to be a “typical” presentation of an eating disorder, you may try to convince yourself that you don’t have a problem or are not “sick enough” compared to more typical, stereotyped, and even glorified portrayals of such illnesses. 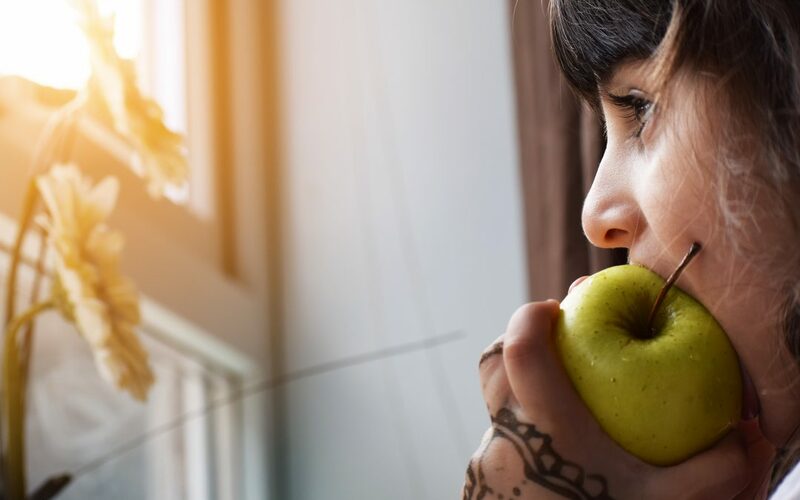 However, the reality is that OSFED is the most common eating disorder, meaning that each person’s experience with thoughts, behaviors, and feelings surrounding food may not fit a certain picture but does disrupt and create disorder in their life. Even if you can’t yet identify with a particular diagnosis, being aware of your disruptive relationship with food and body image is enough to consider the possibility that you might have an eating disorder and are deserving of help. Bio:Bahar Moheban, M.A. is a clinical psychology doctoral candidate and registered psychological assistant in Torrance under the supervision of Dr. Nazanin Moali. She provides individual and group psychotherapy to adults and adolescents with disordered eating, negative body image, and cormorbid disorders. If you are distressed about your relationship surrounding food and your body image, contact Bahar for a counseling appointment to further explore your concerns and develop a plan for recovery.